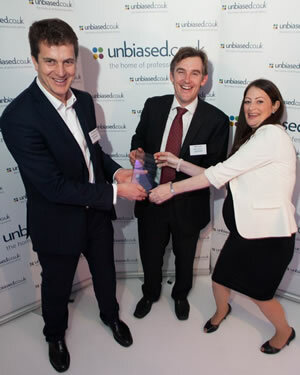 The unbiased.co.uk Media Awards celebrates excellence from the media advisers and journalists who use unbiased.co.uk’s Bluebook. The evening not only rewards the important work advisers and journalists carry out to promote the value of advice in the local, national, online and broadcast media, but also offers a unique networking opportunity. Meet with the most influential advisers, prominent journalists and leading industry spokespeople. The awards are your exclusive opportunity to connect with these crucial contacts while enjoying cocktails and canapés in a relaxed and glamorous environment. Holden & Partners are independent financial advisers (IFAs) in London (Farringdon), the South East and East Anglia. They provide financial planning advice and investment advice to individuals, charities, trusts and companies. Holden & Partners are also chartered financial planners. H&P are an IFA company that also has a specialism in ethical and green investment advice and advice on making alternative and socially responsible investments.